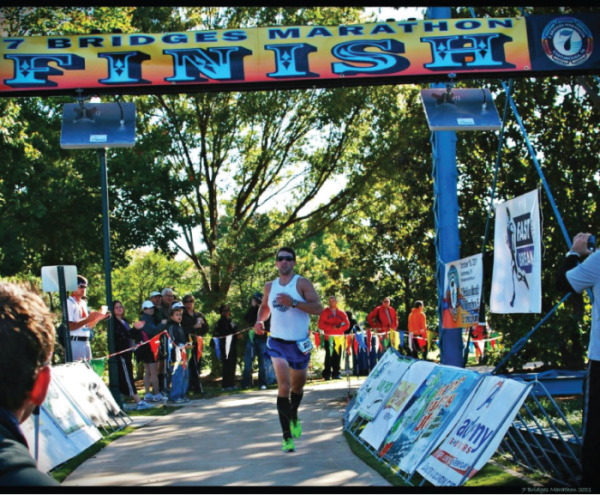 Scenic City Multisport offers Jaguar Timing Systems disposable bib-chip timing - the simplest and most dependable timing technology in the world - with features no other timing company can match. Jaguar Timing Systems is a state of the art timing system that utilizes a disposable RFID timing chip that can be attached to a race bib, bike plate, or bike helmet. The disposable chip requires no battery, is lighter than a feather and has a built in microprocessor customized to ensure maximum reads even during the most challenging of conditions. Jaguar also has ankel-strap chips for swimming and mult-sport events. 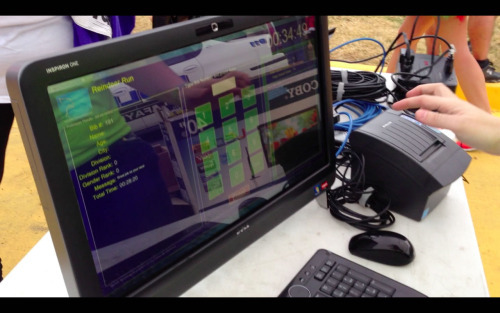 The Jaguar timing system can time every imaginable type of event including road running races of any distance, cross country meets, trail run races, road cycling and time trials, mountain bike races, downhill and cross-country skiing, kayaking, and almost every other sport that involves movement and time. SCM.RaceDayServices.mov from Jay Nevans on Vimeo. With Jaguar Timing Systems we can provide Instant Kiosk results. 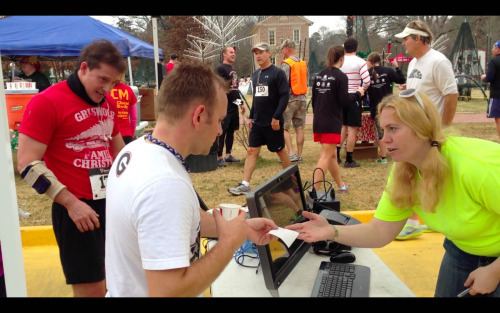 They provide a bib number and we provide a credit card style receipt with their name, age, gender and time. No more surprises at the Awards Ceremony. Athletes LOVE it! 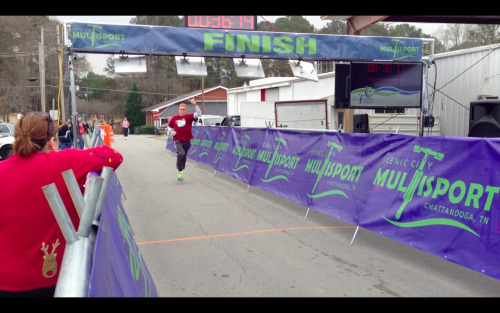 With Jaguar we also do the athlete's "Name in Lights" as they cross the finish line. 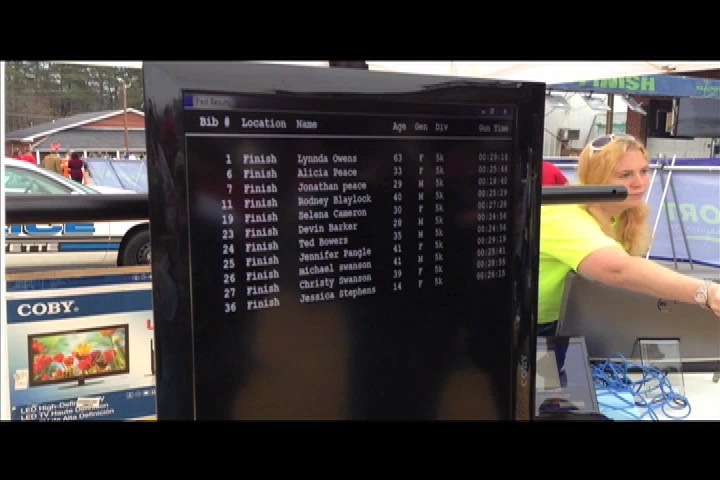 Their name and time is displayed on a big screen monitor as they finish. And Instant Scrolling Resuts on a vertical big screen monitor. AGAIN:No surprises at the Awards Ceremony! With Jaguar we can also do instant Internet Results and Text messaging to athletes. How does the Jaguar Timing System work? Jaguar uses precise antennas, placed above and beside finish lines and other timing locations. Using specialty RFID readers, this system reads the disposable timing chips in the most demanding environments, specifically the active human body. Since RF energy is often absorbed by the body, it can be incredibly difficult to read low-power signals reflected back from timing chips. Jaguar Timing systems uses engineering technology that allows these disposable bib chips to overcome difficult conditions, fulfilling their design purpose.